This entry was posted on September 23, 2016 by Woven Monkey. 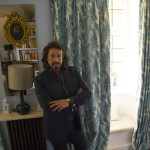 We got a little star struck at Woven Monkey HQ recently when Mr Laurence Llewelyn-Bowen himself (Changing Rooms Legend) contacted us with a special request. 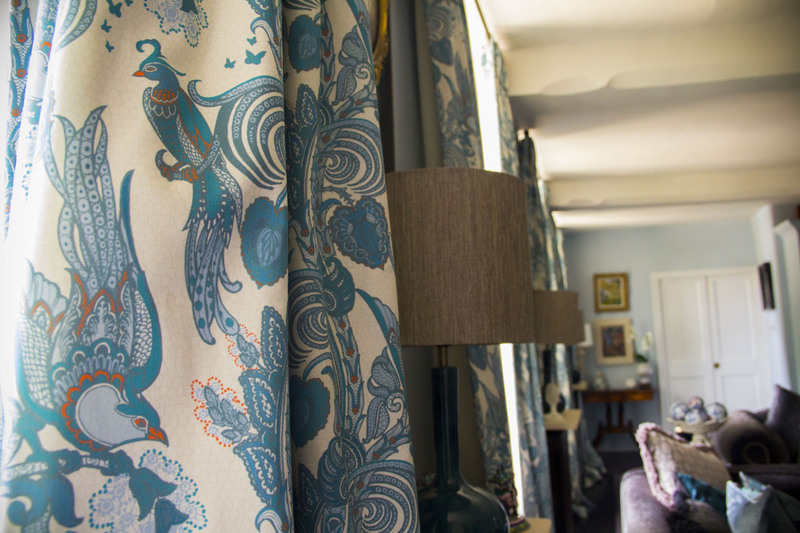 He was looking to have a set of curtains made for his family home, which featured his own design. Well needless to say we jumped at the chance to make the fabric for him. "Woven Monkey gives me the ability to let my imagination run riot through boundless, fabulous forests of decorative possibilities. I mean, just look at my curtains! 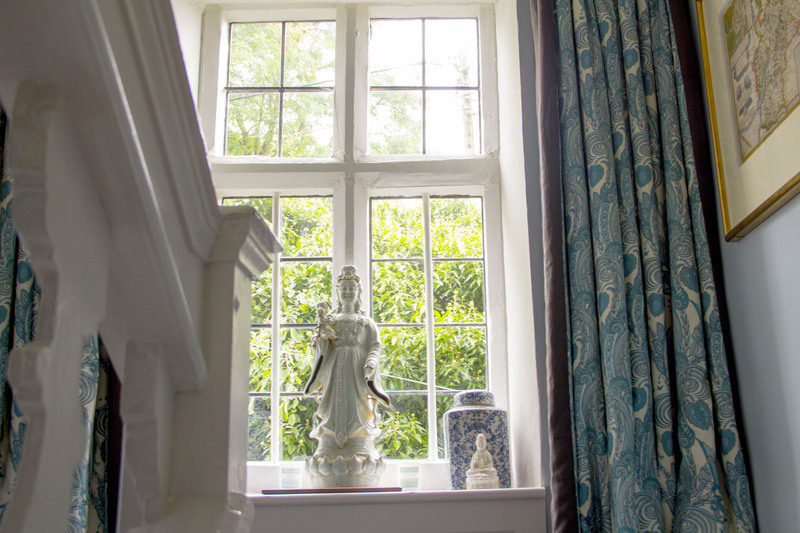 without Woven Monkey I'd not be able to hang psychedelic vistas of art nouveau inspired rain forests at my windows, and my drawing room would definitely be poorer for it......."
Here are a few photos of the finished curtains.